This forest of hemlocks, spruce, birch and beech. It is home to a true Acadian Forest. That natural mix of soft and hard woods that is becoming rare in this climate of vast clear cuts and monocultured tree farms. It is the steep slopes of the ravines that has saved this forest from the same fate... until now! I still recall the time when a few people with great intentions traipsed through these woods, set on preserving this old growth legacy for generations to come. They came with saws and trimmers; not to cut down, but to build. They forged a course; interspersed it with interpretive signs to identify the wonders and treasures of the 150 acre piece of land. Soon after, they came, familiar faces and new, to share in the joys of nature through the various seasons. Hiking or snowshoeing, the children wrapped their arms around trunks too large hug. The dogs ran under branch and bush to the laughter and glee of kid and adult alike. Over the years, these children grew taller and stronger, much like the trees of this forest. They skipped or leapt over bubbling brook to the sounds of bird calls and leaf rustle, ever hopeful for a glimpse of a deer or hawk soaring overhead. This beautiful land has been obtained by new owners, and if it is to be cut down as planned, all will be lost for the children of today's child. There will be no geocache waiting to be discovered, nor rock to climb over, nor even just a special place to sit and listen; to watch and wonder. 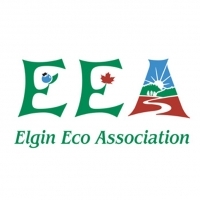 The Elgin Eco Association (EEA) has the opportunity to purchase this land. They wish to preserve and maintain the trail as they have done since its inception. With your help it is a reachable goal. Help reach our goal of $75,000.00 which is to go, in its entirety, to the purchase of the property. plus a Bumper sticker stating "I helped save the Mapleton Acadian Forest Trail!" The Elgin Eco Association wants to save the Mapleton Acadian Forest Trail from clearcutting by new owners of the property. The EEA needs to purchase the property to preserve this gem. Please help. Sponsor Name and Logo on a virtual acre plot with your Sponsor Name and Logo on the EEA website and Facebook Site, plus a Bumper sticker stating "I helped save the Mapleton Acadian Forest Trail!" Est. Delivery Date: Upon Purchase of the Property. Sponsor Name and Logo on the EEA website and Facebook Site, plus a Bumper Sticker stating "I helped save the Mapleton Acadian Forest Trail!" Est. Delivery Date: Upon purchase of the propety. Sponsor Name and Logo on Facebook plus a Bumper Sticker stating "I helped save the Mapleton Acadian Forest Trail!" * $45,249 in offline donations included in total.